When choosing your Christmas tree, your first consideration is usually aesthetics. You look for a nice shape and color, and branches that can carry the weight of the ornaments. However, there's more variety than you might think, in evergreen trees. If you don't want your tree turning into a pile of needles before the holidays, look a little more closely at your choice of trees, before necessarily choosing the fattest or most fragrant. Some evergreens hold up throughout the season better than others. The Scotch pine holds its needles, long after they've died and dried out. Not every evergreen comes with that familiar holiday evergreen scent. Of those that do, some hold it all season, while in others, it fades before the big day. There are even evergreens that allergy sufferers can enjoy; no fragrance, no pollen, no sap. Of course, your choice depends on supply and demand, and you often have to pay more for some of the most prized features, but it is still wise to know what to look for when choosing your family's tree. And don't forget to recycle your Christmas tree in the garden, when the season is over. Balsam fir (Abies balsamea) is usually the most reasonably priced and abundant cut tree. You usually have the choice of a naturally shaped tree, with a slightly unsymmetrical shape, or a tree sheered into the perfect holiday tree. The needles are dark green with a slight silvery cast, Balsams have short, flat, needles that are long-lasting. These trees are very fragrant​ when first cut. This fir is relatively new as a Christmas tree and becoming increasingly popular. 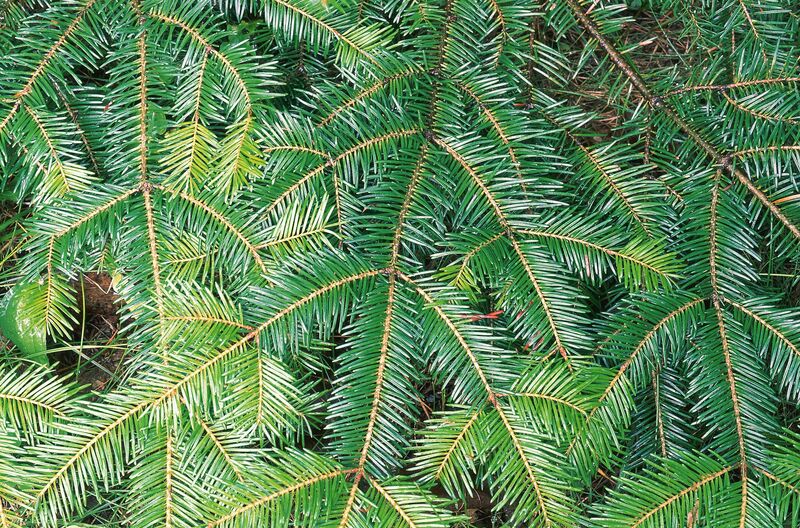 The blue-green needles set it apart from other fir trees. They are 1/2 to 1-1/2 inches long with both a nice aroma and good needle retention. Concolor fir (Abies concolor) is also a very attractive tree, for the yard. The blue needle color is very dependent on the soil pH range in which they are grown, with a more intense blue shade occurring in alkaline soil. So the color can vary from dark green to powdery blue. The needles are 1 to 3 inches long and can be so stiff they scratch, so be careful when handling. Colorado Blue Spruce (Picea pungens) has good needle retention, but they will drop in a warm room. This is a beautiful, full, dark green to blue evergreen. The needles whirl around the branches like a soft brush. Douglas fir (Pseudotsuga menziesii) holds its needles well and has a long-lasting fragrance. The scent is all the more pronounced when the needles are rumbled or crushed. The shape and structure of Fraser firs (Abies fraseri) makes them popular for decorating at Christmas. They have natural conical shapes and the branches curve slightly upward. They also have a wonderful scent that is retained well after being cut. Needle retention is moderate, but you can scoop them up for a fragrant potpourri. Leyland cypress (Cupressus × leylandii) is a very popular choice for the southeastern U.S. The grayish-green needles are soft, with very little scent, no sap, and the tree does not produce pollen. These features make it a good choice for people with allergies. Few needles are dropped until long after the holiday season. Norway spruce (Picea abies) is an undeniably pretty tree, with poor needle retention. Be sure to keep it watered and it should make it through the holiday season just fine. On the plus side, the branches are sturdy enough to hold heavy ornaments. They get good training holding up clusters of pine cones. Scotch pine (Pinus sylvestris) has long been one of the most popular Christmas trees. The branches are stiff with ridged, 1 inch long, bright green needles that hold for weeks. They don't drop off the tree, even when they dry out. As a bonus, Scotch Pine has a nice, lasting aroma. White Pines (Pinus strobus) are currently showing signs of a lot of stress and health problems, so you might not see too many offered as Christmas trees, for a while. When healthy, they will retain their blue-green needles throughout the holiday season. They make a very full Christmas tree. Because they have little to no fragrance they are a good choice for people who have allergic reactions to the spicier trees. The white spruce (Picea glauca) is very similar in appearance and characteristics to the Colorado blue spruce. 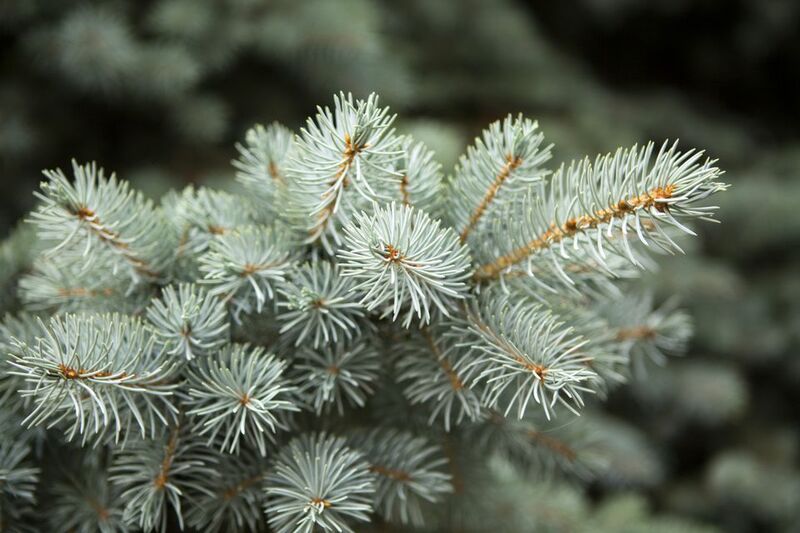 This pretty, bluish green native of the Northern U.S. holds it's needles well, but they have an unpleasant odor when crushed, so don't handle the tree after it is decorated. The stiff branches and needles hold your ornaments secure.